Native & Search provides you with the tools you need to target your customers. Use Conversion Tracking, for example, if you wish to gain greater visibility into the number of times people come to your website and become customers. 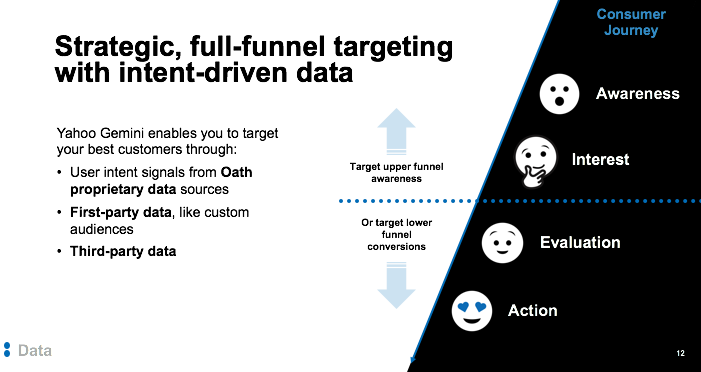 Conversion tracking is a great way to determine if your campaign is working and how effective it is. You can then measure and optimize your campaign’s performance. With Native & Search, you can target interested audiences by leveraging billions of data points that signal intent, reach them across screens, and engage them with native ads to drive measurable results. Learn how you can track conversions by setting conversion rules. Take advantage of targeting by creating custom audiences. 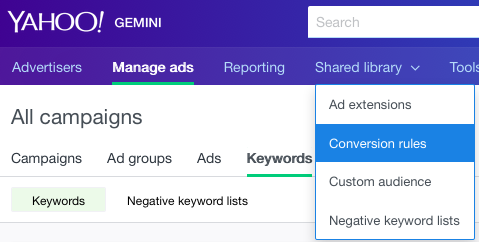 Our new conversion optimization feature allows advertisers to improve campaign performance by optimizing conversions toward a target cost per acquisition (CPA), while an enhancement to our custom audience capability enables advertisers to target users with native ads based on their in-app actions. Conversion rate and CPA are key performance indicators that many advertisers closely monitor in order to maximize their ROI. With conversion optimization, you can set your own CPA target and pay per click, leading to a new bidding strategy and optimized cost per click (oCPC) that helps maximize value from campaign budgets. The custom audience feature allows mobile app marketers to target customers across devices using their own first-party data. 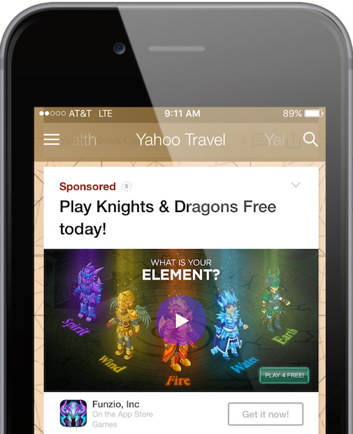 With one data feed, Yahoo finds your audience on PC, mobile and tablet. This capability is already available using data from website actions and mobile device IDs. 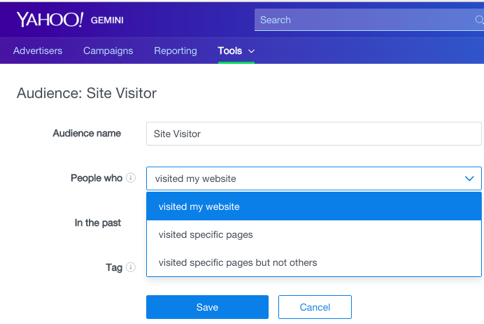 Now we’re adding the ability to target users with native ads on Yahoo and partner inventory based on consumers’ actions within the advertiser’s own apps. When used together with proprietary Yahoo interest data, the data from custom audience in-app actions helps marketers reach and engage people (including shoppers, gamers, browsers) who have expressed interest in their products or services based on their in-app actions. We work closely with mobile analytics providers that track conversion events in apps to create a seamless connection based on SDK integration, so that no pixel or other Yahoo-specific update is required for the app to start sending data. These partners include TUNE, Kochava, AppsFlyer, Adjust, Flurry Pulse and more. We know that advertisers often measure success based on meeting their cost-per-acquisition (CPA) and conversion targets. If you can optimize your campaign to get more conversions for your budget, then you’re going to improve your ROI. Our conversion optimization feature therefore enables advertisers to adjust their bidding strategy to meet the CPA target they choose, rather than just optimizing for clicks. This is especially important for performance-based advertisers. Once you set up conversion tracking, you can set a desired CPA target and switch the bidding strategy to focus on conversions. Our proprietary ad-serving algorithm then optimizes the advertising cost based on the conversion rate in order to meet the CPA target. © Verizon Media. All right reserved.